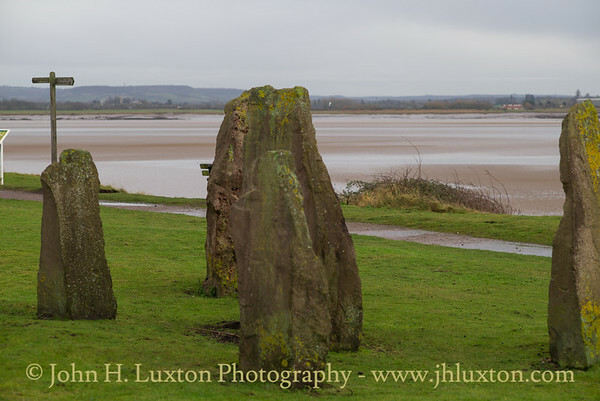 Lydney Harbour is a scheduled ancient monument and has been a point of trade on the River Severn since Roman Times through the Industrial Revolution and into the 20th Century. 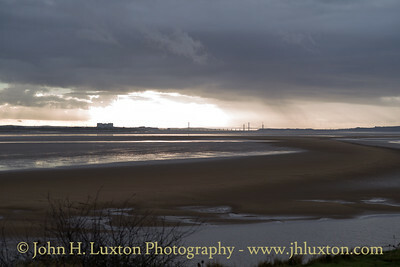 The Severn Estuary is one of the UK’s national heritage jewels, known the world over for its massive tidal range and internationally important habitat, but even more so for its history of exporting and as one of the UK’s principle sea links to the rest of the world. 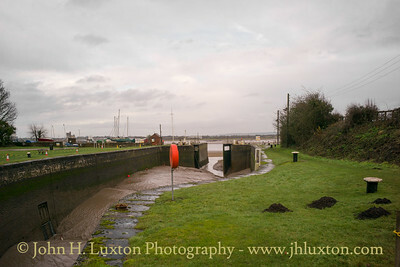 Lydney Harbour has played a full part in making the Severn Estuary the gateway from the South West to the rest of the world. 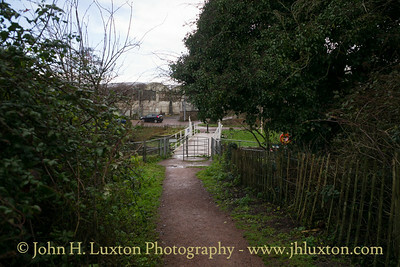 For these reasons it has always held a special place in the hearts and minds of the people of Lydney. 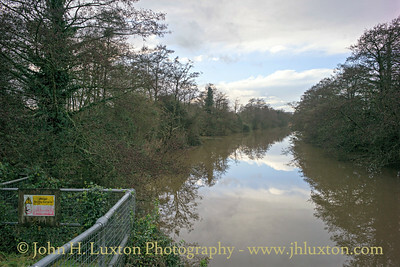 The current canal and basin complex was built by the Severn and Wye Railway and Canal Company between 1810 and 1813. Initially connected to the Forest of Dean by tramroad a conventional railway freight branch line was laid which brought coal for export. Opened during World War II Pine End Works, adjacent to the harbour, a wartime shadow factory imported wood through the port until its closure around 1986. Here wooden components for a range of aircraft including war time Mosquitos and Hansa gliders were produced. 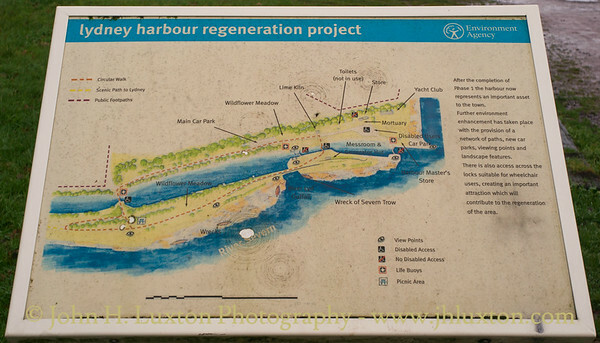 Today the harbour handles private pleasure craft though many of its surviving historic features which date back to the Industrial Revolution have been conserved and interpretation boards erected to enable visitors interpret the past. 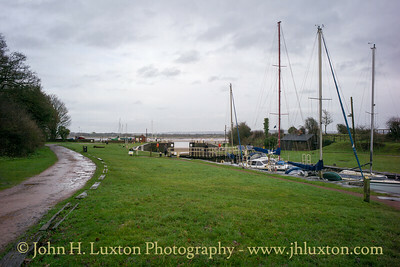 Lydney Harbour swing bridge restored in 2016 by Mabey Engineering. 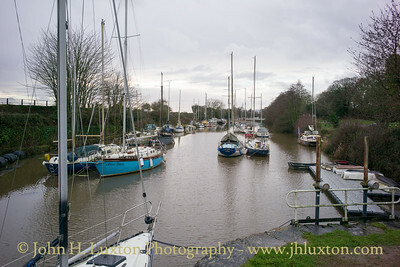 The Harbour is essentially a one mile long canal extending from the River Severn inland towards Lydney. 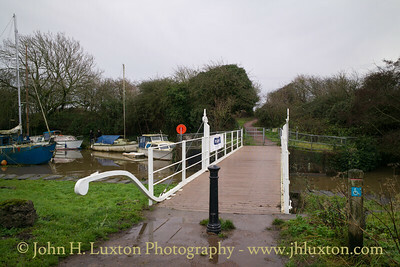 Lydney Harbour swing bridge restored in 2016 by Mabey Engineering. 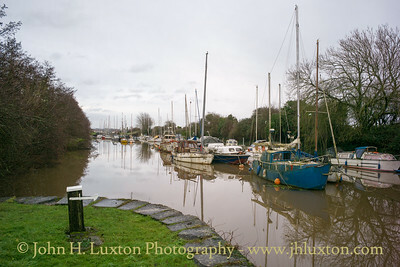 The Harbour is essentially a one mile long canal extending from the River Severn inland towards Lydney. In the background just beyond my car can be seen the former WWII "Shadow Factory" where the wood for constructing Mosquito aircraft and Horsa gliders was produced. 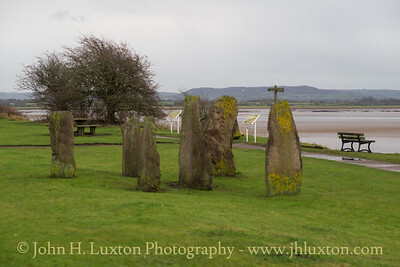 It has lain abandoned for nearly two decades since closing around the time of the Millennium. 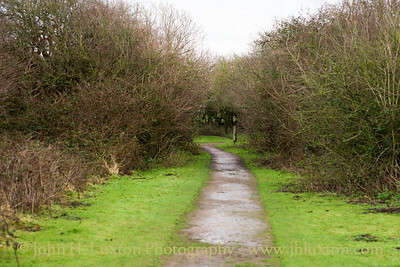 View along the track bed of the lower level of the former railway line which ran down to the harbour side. 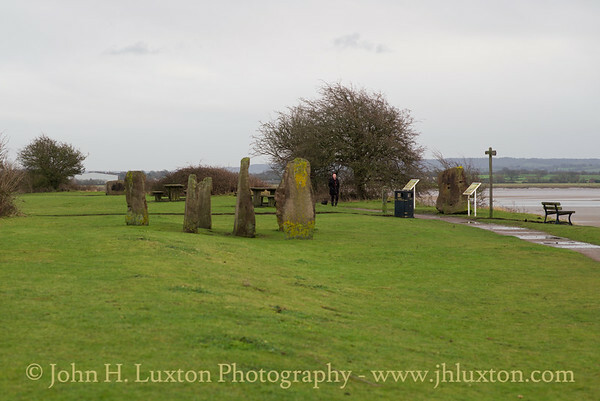 Some standing stones erected on the Lydney Harbour branch railway track bed. 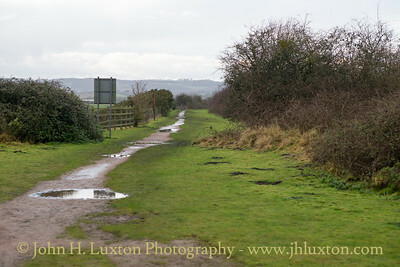 View along the track bed of the Severn and Wye Railway towards Lydney Junction. 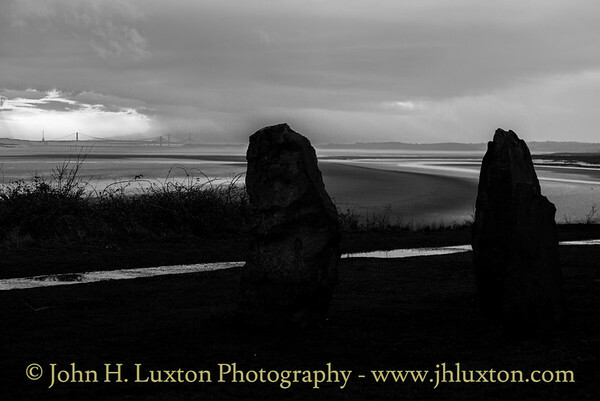 View down the River Severn towards the bridges with the "standing stones" on the former railway track bed. 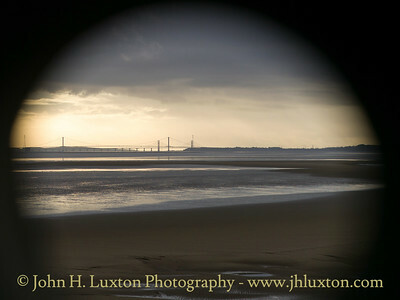 An unusual view of the Severn Bridges viewed through a drilled stone on the upper level of the railway track bed. 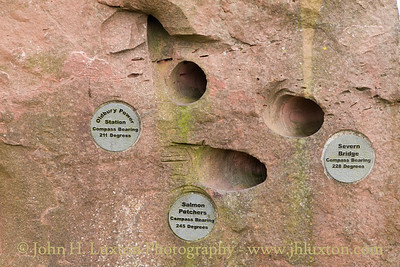 The drilled stone which provides interesting views of three features of the River Severn. 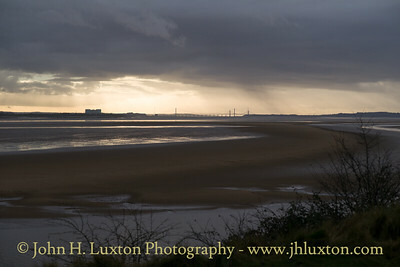 View towards the Estuary from the former railway track bed. 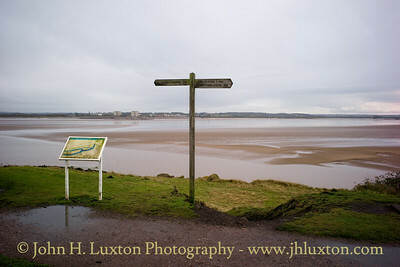 Looking up the harbour towards Lydney. On the right there existed a large gantry crane which once lifted wood brought in barges from Avonmouth docks into the Pine End Works shadow factory. 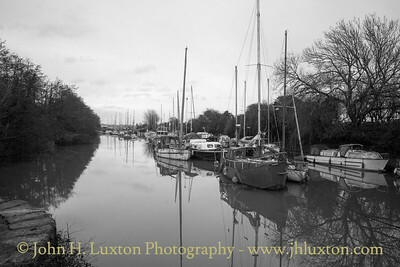 Some of the private vessels berthed in the harbour appear to have been there for many years and might find entering the waters of the River Severn somewhat challenging if one considers their condition! 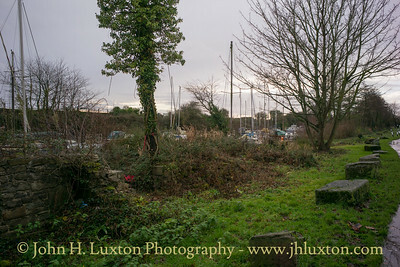 View from the car park towards the dock. 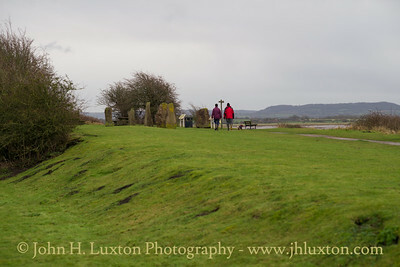 The high level railway track can be seen in the background. 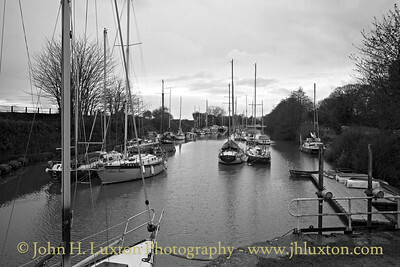 View from one of the lock gates - looking up the canal. 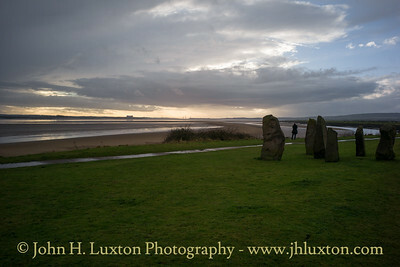 The outer basin and harbour entrance.